Students of American military history have been referring to the painstaking work of Cullen for many years. I’ve never actually seen a print copy of his Biographical Register of the Officers and Graduates of the United States Military Academy, only bits and pieces derived from it. But last week Harry Smeltzer pointed me to an online copy which–as we commiserated together–may become the biggest time sink for me since the Official Records first went digital. I’m in your debt, Harry. George Washington Cullum was born in New York City, and raised in Meadville, Pennsylvania. He graduated third in the class of 1833 at West Point, and got a plum Army assignment as brevet 2nd Lieutenant in the Engineer Corps. By skill or other influence unknown, he first rose quickly in rank, appointed 2nd Lieutenant in 1836 and jumped to Captain only two years later. However, it would take war, more than twenty years after, before he was again promoted: a common story for officers in a peacetime Army in which someone at the top had to resign or die before a vacancy came open. For most of his Army career he worked on fortifications and other major public works projects. His first assignment was at Fort Adams on Newport (RI) Harbor, under legendary engineer Joseph Totten (Army Chief Engineer 1838-64). Over the two decades following, he designed and built forts, seawalls, bridges, and lighthouses. These included Forts Trumbull, Warren, and Winthrop at New London, Connecticut and Boston, Massachusetts. He also served at War Department headquarters in Washington, and on engineering boards and commissions. During much of the Mexican War (1846-48) he was stationed at West Point as superintending engineer for devising and constructing sapper, miner, and ponton trains for War with Mexico, building the new Cadet Barracks, and as a drilling officer. In 1848 he was assigned there as instructor in Practical Military Engineering. During that period he studied and wrote on techniques using “India rubber” floats (or pontons) in military bridges, publishing a Description Of A System Of Military Bridges, With India-Rubber Pontons in 1849. The volume served as the standard for such bridges through the Civil War. In 1850 he also published his first Register of Officers and Graduates of the USMA, later expanded to be the biographical reference with which his name will always be associated. The Captain was granted an extended leave for illness from 1850 to 1852, and traveled widely, visiting Europe, Asia, Africa, and the Caribbean. On his return he resumed duties as instructor at the Point under new Superintendent Robert E. Lee. If members of the faculty found opportunity for advancement, Lee tried to assist them. 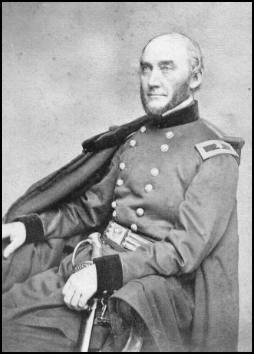 When Captain George W. Cullum, for example, was suggested as superintendent of the assay office in New York, Lee arranged for Cullum to discharge that service while retaining his position at the academy, and he was disappointed when the Secretary of War withheld his consent. In 1855 Lt. Colonel Lee joined the 2nd US Cavalry in Texas, and Captain Cullum returned to engineering in the field, working again in coastal New England and on projects at Charleston, South Carolina, including the soon-to-be infamous Forts Sumter and Moultrie. At the outbreak of War in April 1861 he was assigned to the staff of General in Chief Winfield Scott as Chief Engineer and Chief of Staff at the rank of Lieutenant Colonel in the Staff Corps. In August 1861 he was appointed Brigadier General of Volunteers and went to work for Major General Henry W. Halleck, new commander of the Department of Missouri. Halleck–known as “Old Brains” for his studious pursuits in Military Science before the War–was a fellow USMA graduate (1838) and Engineer. He and Cullum became close friends and associates. While in the Western Theater, Cullum supervised new fortifications and mapping projects, designed defenses for St. Louis, briefly held command at Cairo, Illinois, and oversaw the siege and later defense of Corinth, Mississippi (April – July 1862). 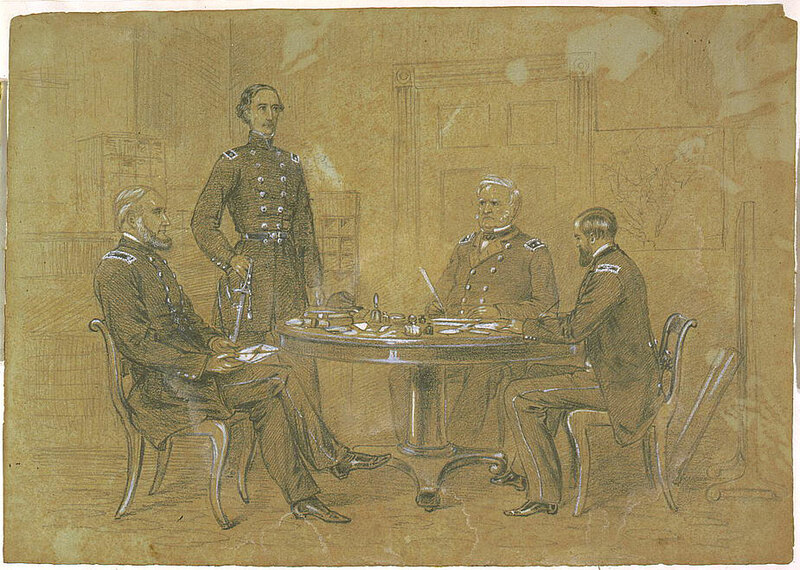 Returning East with Halleck on 23 July, he inspected the Federal defenses of Harpers Ferry and Martinsburg, Viginia (August 1862), consulted on the system of forts at Washington DC, and served on a myriad of engineering panels evaluating fortification technology and design, as well as boards of instruction and promotion. On 8 September 1864 Cullum was appointed Superintendent of the US Military Academy at West Point. He filled that post for two years, until 1866. His administration was known for raising admission standards and enforcing cadet discipline. Promoted to full Colonel of Engineers in 1867, Cullum’s last years in the Army were spent on engineering boards and commissions considering such issues as modification to the defenses of New York, river and harbor obstructions, and the defense of the United States generally. He retired from active duty on 13 January 1874 under the law of July 17, 1862, he being over the age of 62 years after 45 years of service. In 1875 George Cullum married for the first time, taking as his bride Elizabeth Hamilton, widow of Henry Halleck. Elizabeth was also granddaughter of Alexander Hamilton, and her brother Schuyler had been on General Scott’s staff with George in 1861. Residing in New York City, he was active in many civic and social groups, but was focused especially on the American Geographic Society and his beloved Military Academy. He completed his third and final addition of the Biographical Register in 1891 at about 82 years of age, and died in New York less than a year later of pneumonia. consists of a large ballroom on the second floor with a capacity of 700 persons and a formal room on the first floor that is used for receptions and ceremonies. Graduates of the Academy who have died in battle are memorialized on bronze plaques throughout the top two floors. Above all, though, Cullum’s most significant legacy is his Biographical Register. His system of Cullum Numbers assigned to all West Point graduates begun with his first version in 1850, is still maintained today. 23 September 1875 – married Elizabeth Hamilton, widow of Henry Halleck (d. 1872). She was granddaughter of Alexander Hamilton and brother of Schuyler Hamilton seen in the Waud sketch above. The considerable detail about Cullum’s career and works is, of course, from his own Biographical Register. A snippet of that 3-page entry is seen at the top of this post. Cullum’s own Cullum Number is 709. The 1861 photograph is from the Generals of the American Civil War, and looks like a cleaned up version of an original at the US National Archives. I’ve seen CDV copies online and for sale. A similar Brady photograph, possibly from the same session, is also in the Archives’ collection. 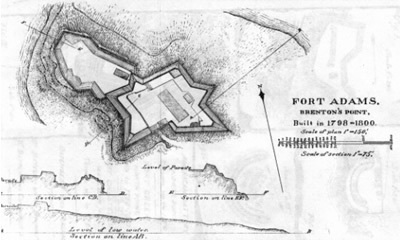 The drawing of Fort Adams and tidbit about Totten are from material by John T. Duchesneau on the Fort Adams website; he credits Daniel Titus and the National Archives for the image. See much more about rubber pontoons, including reference to Cullum’s designs, from Civil War Pontoon Bridges by Robert Niepert. The Freeman quote above is from his massive 1934 Biography of Lee, citing letters from Lee to Army Chief Engineer Totten, and Lee to Cullum, of October and November, 1853. The full, annotated text is online from Bill Thayer. The Smithsonian has put a small CDV of Elizabeth Hamilton Halleck online. While she apparently died before her second husband George, leaving him money she inherited from successful first husband Henry, I do not know exactly when. Great article! Very informative. Elizabeth Hamilton died 9/15/1884. We have not talked much about Halleck and Cullum in the family but these men were great leaders. Even though there are no Hamilton family blood descendants of either of the warriors, we will be teaching our children about their contributions to our country. Henry Halleck and Elizabeth did have a son (Henry) but he died in 1882 at the age of 26; two years before Cullum passed away. BTW, Schuyler Hamilton, brother and friend lived until 1903. Most excellent to hear from you Douglas – thanks also for the additional details. Yours is an illustrious family in many generations, and it was good to find the connections when pulling threads from Cullum. Curiosity has gotten the best of me as I read this article. I am told by my mother and uncle that George W. Cullum was my great, great grandpa but I cannot find any information about this. I am told that he had a wife before Elizabeth Hamilton and with her had two children but this is all I know. Do you know if this is true? No other information that I have suggests that George W. Cullum had children. I found no mention of a previous wife when researching Cullum for this blog piece, but who knows what I might have missed. If your family has any kind of evidence, I’d love to add it here … an intriguing possibility. Good hunting on your genealogy! 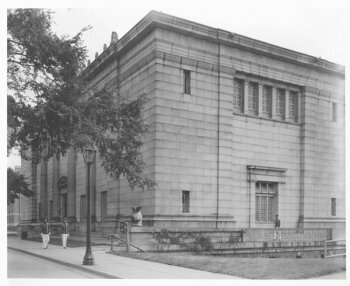 According to my research Cullum designed the Unitarian church in Meadville in 1836 at 346 Chestnut Street. Inspired by the Westminster Congregational Church (1829) in Providence, Rhode Island, where he was first stationed after graduation from West Point. Thank you for your information. Very interesting! Thank you for sharing. George W. Cullum, was the brother of Clinton Cullum, whom I’m a descendant.